So What if these are the Last Days? Almost everywhere I turn recently has been posing the question as to us being the final generation before Jesus returns. “Us” is a relative term as we have people alive today born a century ago and others born this morning, so who this “last” generation is is hard to say. I’m 42 (for now). I have friends in their 60s and 20s. Who is this “last” generation? Here’s a better question: does it matter? John Wesley wrote sermons we still read today. St Paul was writing 2000 years ago. But they, and we, have something in common. Right now is the only generation we can truly affect. This generation. Our own. I’m not saying it’s not important whether Christ is returning. It’s critical. Almost all the New Testament books refer to His return as a key event to come, and that it will be a time to be feared and rejoiced over. The times we live in certainly appear to match the signs of the end of the age that Jesus spoke of, but I’m sure for every generation before us there has been a collection of events that seemed to indicate the end was close. The Crusades a thousand years ago to reclaim the Holy Land, the Spanish Inquisition, even events like the Great Awakening or Wilberforce’s bill leading to the end of slavery in the British Empire could have been seen as signs of the end in their day. The Welsh Revival or any of the great periods of growth the church has seen in the last thousand years could have been called a herald of the end. So what’s special about today’s generation? Why have we suddenly become so preoccupied with the Second Coming? 2012 came and went without any major catastrophe destroying civilization. Every year there’s some nut who is taken with various degrees of certainty declaring the end is near. So what? What does it matter if we are the final generation? I’m still going to get out of bed in the morning, got to work, talk to people as God leads me to about Him and write here and anywhere else that cares to publish my work whether today is my last day or not. I learned when my brother died in 1985 that life is short. He was just under ten years old. I learned as I grew in my faith that Life is relative. Life on this planet is short. In the context of eternity it’s less than a heartbeat. In “Holy Man”, Eddie Murphy spoke about the limited number of years we have. The movie was funny, but it made me think. I’m over half the age my father’s father lived to. My dad died in his 50’s. We don’t know when Jesus will return, and I think that was the point of Him not telling us. Each of us has only a few short years on this planet before we move on to Eternity. If that part of Jesus’ prayer its true then Eternal Life starts before we die, through knowing and growing in Him. So why should we worry about the Second Coming? Surely whenever that is scheduled – and remember even Jesus said He didn’t know, only the Father does – we have an obligation as Christians to live today as though Jesus will be here any moment? Perhaps we need to get away from the idea that we may be the final generation and get used to the idea that for the majority of us this is the only generation we will reach. I’m certainly not famous, and I’m not well known even locally. My writing reaches people around the world through the internet, but realistically very few people really know me. I know very few people. The number of people I keep close fellowship with I can count on one hand, but that doesn’t mean I sit back and give up. After all, Jesus only had 12 when He started. We need to seek a place where we can influence others with our lives and actions. Anything I write or say is worthless outside the context of my actions. My ability to affect the lives of others is limited by the people I choose to interact with – and that has nothing to do with whether Jesus is returning next Wednesday or not. It has to do with me letting Him grow in me, growing to be more like Him and living my life in the way He would. It means speaking love to my enemies, avoiding sexual immorality – not easy in this world. Hating sin but loving sinners and learning to differentiate between the two. It means living, and not waiting. We should wait expectantly for Jesus to return. It’s part of what the first century church did, and it needs to be part of what we do. But in that 2000 years since Peter and Paul walked in Jerusalem “waiting” has changed. It’s become a passive exercise. Peter spoke on the day of Pentecost under the influence of the Holy Spirit because he was waiting for Jesus. He healed the cripple at the temple gate because he was waiting. Paul wrote the letters and travelled the known world because he was waiting. He was anticipating the close return of Jesus. We wait by sitting at home watching reruns of “Happy Days”. We’ve lost the sense of urgency that biblical waiting implied. So no, I don’t believe we should focus on the return of Christ as a thing to be expected next week if it will paralyze us. But we need to motivate ourselves to walk and talk in His footsteps so if it is next week we can greet Him and know our friends and neighbours have had the chance because they saw Him in us to invite Him in. So yes, we are living in the last days before Jesus returns. But we have been for 2000 years. Let’s live as though this is the last generation we can physically affect – because it is! The writer of Ecclesiastes says there’s a season for all things. I won’t list them all here as I’d need to quote most of the book, but read it and see. We have seasons in our lives. Times when we go through great triumph and times of great sorrow. Living in a world that has fallen so far from its intended design makes us prone to the pitfalls of depression, anxiety, pain and death we all share. Recently we lost a great comic man, Robin Williams, to depression. What could have been will forever be a question we will ask, but he wasn’t the only one to succumb that day. Many more unnamed and unknown lost the same battle as they couldn’t see past the winter they were in to the spring that could come. I attempted suicide in 1999 after an exceptionally bad year that saw a lost engagement, cancer and death. I couldn’t see a way out or an end to the winter I was in. So four times I tried to end my life. By mid 2000 I was through the darkest time, and now – fifteen years later – I’ve had seasons of joy and sorrow. Growth and setbacks. It’s hard to imagine, but every day I get the chance to start again. For a long time I didn’t see it, but we can all say that. We need to remember to pray, to lean on God through the hard times. Allow His strength to hold us up irrespective of the pain we feel. God is not limited by what we go through. He’s only limited by what we allow Him to do in our lives. Jesus couldn’t do many miracles in His home-town because of the people’s lack of faith, not His. Starting over is easier than we think when we’re in the middle of the fight. But God is able to overcome any battle we experience. He is bigger than any problem we face. Paul reminds us in his exhortation in Ephesians 3:20 that God “…is able to do exceedingly abundantly above all that we ask or think, according to the power that works in us“. According to the power at work in us. The amount of power we allow Him to use to turn our life round and get us back on track. A nuclear power plant can generate enough power to fuel a city, but all that power can be used to only light a single 40 watt bulb if we choose. I sit using a computer more powerful than the processors that allowed man to set foot on the moon – albeit with different software – but I don’t use even half of what it is capable of as a writer. Even when I branch out into graphic design, which I’ve done once or twice, it doesn’t tax the power of this machine. We can turn the power on to start us over again. If a car stalls we don’t just sit in it, we turn the ignition and restart the engine. God calls us to do the same. No matter the issues, the sin, the fall. God sits like the starter-motor or the nuclear power plant just waiting for us to tap into His strength and start over. We sit and think “I can never start over. Not with my life.” But remember the Prodigal Son. He rehearsed the speech to his father every step of the way home. Ask to be made a servant. Don’t expect more. But his very arrival home and approaching his father as the man had wanted hm to do opened up a welcome above all he could ask or think, just like Paul wrote. The son took the first step and the father bridged the gap. More than he dared ask for. More than he was entitled to. But notice in the prodigal’s story, he allows his father to welcome him home. We need to allow God to welcome us. Taking the first step is often no more than just simply asking for help. Turning back to Him and starting to move towards Jesus again gets our Abba-Father running towards us to throw His arms around us and weep tears of joy into our hearts as we come home. But it begins with us humbling ourselves. Humble isn’t what we think it is. I’m not taking about self-deprecation here, but simply trying to make ourselves out to be something He didn’t make us – more or less than He made us. Humility isn’t about grovelling, it’s about honesty. And that honesty is the first step to a new start. I’m not perfect. I’m not even a great example in many ways, but I have learned that starting over is simply a question of accepting I can’t do it alone and I wasn’t meant to. Trying to take my own life and failing allowed God to reach me. I was saved all over again by His mercy when after four tries I turned to Him instead of trying to die. I started living again when I started over. No, I started living again when I acknowledged I needed to start over. Once I’d done that, actually seeking Him to help me was easy. In the world’s eyes success is measured by what we have. In God’s it’s measured by how much we’ll trust Him. He longs for us to start over in areas of our lives every day that are not given to Him. My grandfather died at the age of 80 just a week after phoning me to share his excitement at the new things God was showing him after 64 years as a Christian. He was moving in new areas of his life he’d not given over up to the day he went to be with his Lord. Grandad learned to start over every single day. I want to as well. It’s something we all need to do on a daily basis. My personal studies keep coming back to this question recently. What, according to God, is humility? Jesus was humble. He walked a miraculous life certainly, but he walked in humility and subject to the Will of His Father. He did only what He saw the Father do. He subjugated His own desires for the desires of the Father – none more so than in Gethsemane where He begged for the cup to pass from Him, but then in humility subjected Himself willingly to the Cross, death and ultimately Resurrection. He was a man who knew who He was. An example to us of how we are meant to live. It’s a simple acknowledgement of who we are in God’s sight. Nothing more, and nothing less. Just like Jesus. Godly humility isn’t cowering in a corner whispering “I’m worthless” repeatedly. Neither is it standing at the front of the group declaring how right we are with God. Not necessarily, anyway. Godly humility begins with knowing who God says you are and living it. Nothing more or less. In an episode of “The Apprentice” a few years ago, Donald Trump was asked about having paid off the mortgage of someone who stopped to help him when his car had broken down and he had a meeting to get to, or some function. The details of the story are not relevant. His answer is. When the contestant asked him about it, he simply said “Yes I did” and moved onto the next question. No fuss, no drama, just an acknowledgement of an action he had done. He neither played it down nor did he make a big deal of it. I’ve seen Mr Trump come across as extremely arrogant in some cases, but on this occasion he was sincerely humble. How can we be that way? Obviously we can’t go round paying off people’s debt. It’s not all of us in a position to do so. But we all have a call on our lives that is unique to us. Some are called to write or speak. Some to teach. Some may be asked to lead mass crowds to Christ while others gently shepherd a small flock of souls. Whatever it is we’re called to do, we should do it with all our strength as we are using the gifts God gave us to advance the purpose He made us for. There’s no point in making yourself out to be more than you are. Sooner or later it will become obvious what a charlatan you are. Many ministries are destroyed because the central character moves away from the calling they were given and focuses on other things. We are all told to heal the sick, but that doesn’t mean we have a specific healing ministry. We should all share the Gospel of Jesus, but the anointing of evangelist is something different again. In 1989, Mike Yaconelli gave an amazing talk at Greenbelt festival in the UK called “Cleaning the bog and other spiritual gifts”. I loved it. I bought the tape and wore it out. The following year I was able to buy a copy of the video which I’m trying to get transferred onto DVD. His concept was simple. Our spiritual gift is what we were made to do. Teaching, yes. But cleaning toilets can be a spiritual calling if it’s what God called us for. And the saying pleased the whole multitude. And they chose Stephen, a man full of faith and the Holy Spirit, and Philip, Prochorus, Nicanor, Timon, Parmenas, and Nicolas, a proselyte from Antioch, whom they set before the apostles; and when they had prayed, they laid hands on them. In this case, serving food was a spiritual calling. It required men filled with Faith and wisdom. The men chosen were happy to do this “menial” task because they were humble enough to recognise they were called to it. We must be the same. Whatever your gift is – or mine – we need to seek it with all our hearts and fulfill it with all our strength. Be bold in announcing when asked that God has called us to this work. Don’t put yourself down. It doesn’t befit a child of God. Don’t puff yourself up. It’s ugly and leads to destruction. Do justly, Love Mercy and walk Humbly with our God. So Jesus said to those Jews who had believed in Him, If you abide in My word [hold fast to My teachings and live in accordance with them], you are truly My disciples. And you will know the Truth, and the Truth will set you free. This article started after a single tweet I stumbled on several days ago. It simply stated “Only the Truth you know can set you free”. I like to dwell on things and let them settle in my Spirit. It’s something several of the most profound teachers I’ve ever heard – well known and local – have drilled into me through their teaching, and something I encourage when I speak, and hopefully when I write. This thought has been going round my head for some time now. The Truth we know sets us free. There’s a big difference between intellectual comprehension of the words and truly knowing them when it comes to the Word of God. These days many people have an intellectual faith based on reason and “common sense” rather than meditation and letting the Word seep into their heart and out through their lives. It makes for pew-sitting followers who fill churches but are hollow spiritually. They understand the literal words, but miss the point. We are all guilty of that in most areas to some degree. I have an intellectual understanding that by Jesus’s stripes I am healed, yet I wear spectacles and take medication for diabetes. I have loss of sensation in my feet because of the illness in my flesh. I am still trying to meditate on the verses that speak of physical healing and make them a part of myself to the point that these major issues can be taken care of and see healing in my body. It is working. Part of my testimony is that a “progressive” illness like diabetes is getting no worse in me after 15 years as I truly begin to “know” healing. Most of us only truly know salvation from an intellectual perspective. It’s apparent in the things we say and do. Our actions reek of death yet we claim life in our hearts. As we mature this changes – hopefully – and we find a peace that calms our fears and silences our worries, even just for short times. Many people do not truly understand until death comes knocking at the door what “peace” really is. My dad died of cancer 15 years ago – 1999 was a bad year for me – and spent much of the last few weeks of his life reflecting on how he’d lived. I held his hand as he passed from this life into the next and could feel him finally letting real peace flow through him just before he died. It was a privilege to be there with him. My Grandfather referred to “head knowledge” and “heart knowledge” to differentiate between the two. I like the terms because there is a critical difference between the two. A belief system that goes no further than the mind may as well be atheism. Certainly we need to understand with our minds, but it is our hearts where God seeks us and calls us to know Him. Truth sets us free. It’s the same in all areas of our life, we just don’t see it for what it is. The truth is the chair will support us, which gives us the freedom to sit. The truth is when we’re thirsty and we have a drink the thirst is slated. So when we find a spiritual Truth it has the same formula to it. A set of rules placed in time by a loving God who wants His children to succeed. The obvious ones, gravity, flight, electricity are in front of us so much we don’t see the faith required to use them. Even something as simple as turning on a switch requires faith that power will flow. God is no different. His power is available to us all the time for far more than we can ask, but only in as much as the power is allowed to flow through us. We act as fuses to limit the power, and therefore how much Truth can release us. So we stay sick when health is promised. We stay poor when prosperity – not wealth – is promised. We hold intellectual concepts of prosperity, health and even freedom. We must allow the fire of the Spirit of God to descend within us to fill every fibre of our being and live lives of Truth-giving Freedom. Just the way He meant it to be when He made us, and when He chose to accept our punishment so we could recover what our ancestor had surrendered. Christianity-related writing – something that threatens many extremist “muslims”. I have friends who are not Christians. I have friends who are Muslim. My current assistant is a young Muslim woman. We engage in discourse about our beliefs and how we see God and relate to Him regularly. This kind of discussion is becoming a sort of “friendship evangelism” as the personal relationship I have through Jesus is unlike anything she can find in her own religion, and id something she seeks quite genuinely. I have friends who are satirists and comedians. They poke fun at the way life is and the lunacies of existence. They all live and work in the “safety” of a developed country – England in this case – where freedom of speech and expression is relatively protected. So the murders in France have touched a nerve for me. But I will stop short of the “Je suis Charlie” movement. I am not Charlie. I may empathise with the families who are grieving, and be outraged that such an action could take place, but I am not Charlie. What I am is David. I write what I believe to be the Truth as God reveals it to me. I speak the same as well when I have the chance. Like the victims, I will not be swayed by someone disliking my opinions. I am free to believe what I choose to believe. Like all Christians before me I believe Jesus Christ is, was and always will be the same. I believe His presence guides me. I choose to live my life devoted to Him and allow myself to be empowered to do this through the presence of the person of the Holy Spirit living in my heart. I believe Jesus is the only way to God. I’m an extremist too. A Christian extremist. I hope to be able to be one like Paul or Peter, so caught up in my walk with Christ and living it to the extreme that the World around me cannot help but see a difference in me and be drawn to it. We’re all called to be Christian Extremists. Christians who show Christ’s Love to the World so that they are drawn to Him by our example. I spent some time over the last few days thinking about the Crusades 800 years ago. Militant Europeans travelling to reclaim the Holy Land from the barbarians. That kind of physical warfare has no place in evangelism. It’s a dark part of Christian history, the evangelical outreach sponsored by the Genghis Khan School of Ministry in the 13th Century. It was a time where “christians” did unthinkable acts with the same conviction these fanatics have now, just in a different name. If C4 explosives and AK47s had been available then, I’m certain they would have used them. I am an extremist. I would even say I was “militant”. I’ve been described as “racist” for my beliefs about Islam being a false religion. I’ve been called “closed-minded” for not believing that all religions end in the same place. So I’m a racist, closed-minded Christian. If I choose to believe what the World says. Jesus called all Believers His brothers. He reached out to Jew and Gentile, calling us all home. To show His arms would never be closed to us He had them nailed open. (Thanks to Max Lucado for the imagery there). I am David. I am hidden in Christ and I seek to show Christ to the World. Sometimes I use satirical writing or sarcasm to make a point. I’ll happily “blaspheme” to a Muslim by telling the Truth of Jesus Christ, the Son of God and no prophet of a false god, Allah. I rather choose to try to be Christ, or at least Christ-like to those around me. But remember the grieving in France. And remember anyone is a target to that kind of militant – especially if you dare to speak the Truth. I dislike this time of year. Quite aside from summertime in the Southern Hemisphere meaning climbing temperatures and shrinking clothing, there is this expectation of everything being a new start and a new “you” – whatever that means. The issues we have on December 31st don’t magically vanish at midnight. Our struggles and battles continue into the following day, just as they would on any other day. Our hopes and dreams come with us too. The New Year is a time to ponder and reflect on what has happened in the previous year. To take stock and review. Too often that gets buried in a raucous party of pseudo-friends, family and genuine loved ones staying up into the late night and celebrating another 12 months circling the sun. Personally I don’t feel the need to celebrate that on 31st December any more than on July 22nd. Or any other day for that matter. We make “resolutions” which usually last about a week at best and then spend the rest of the year doing much the same as we did the previous year until the following year when we make the same promises all over again. It’s insanity. We fail to change our behaviour, yet our expectation is that we will somehow change our outcome. Somewhere along the way we need to shift our paradigms. As Christians we should understand this even more than the World. After all, Salvation is a major paradigm shift. We go from being Spiritually dead to being Alive in Christ. There’s no bigger shift that I can think of. Yet we struggle often to move beyond that initial change. We get “saved” but nothing really changes. Our health issues remain in spite of healing being available through the atonement. We remain broke despite prosperity being promised to us in both Spiritual and material terms. Even many of us retain our “old man” personalities with bad tempers and grouchiness combined with a difficulty to forgive despite the forgiveness offered to us. I struggle with that on a daily basis – especially in traffic. 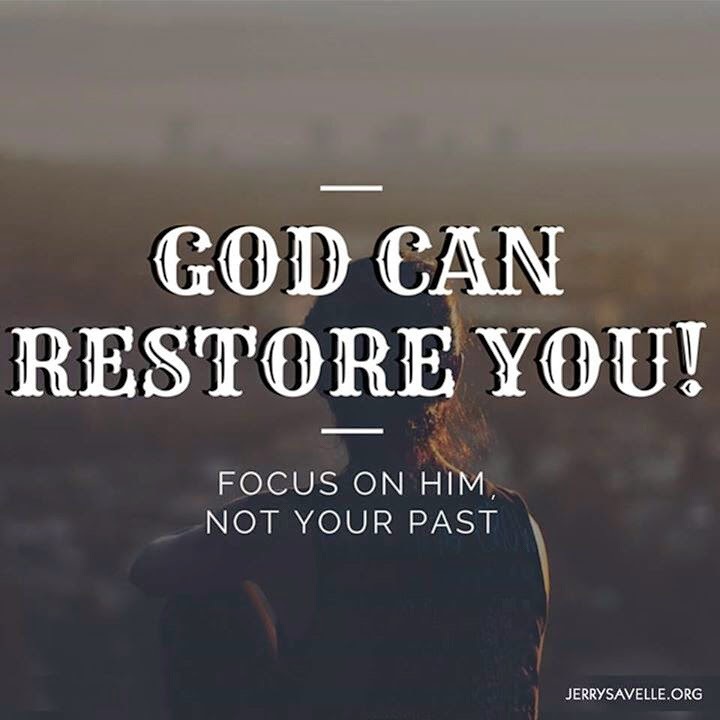 We refuse to let go of the past hurts and allow the healing Love of God in the person of the Holy Spirit to come in and comfort and heal us in those broken areas. We remain brittle with reduced strength to fight temptation and sin, too often falling into old habits. The old issues don’t go away in the New Year. They can only go away through a conscious shift in our thinking and behaviour. We need to be transformed by the renewing of our minds into the very likeness of Christ, reflecting His Glory to the World. When we get it right we see miracles happen, lives changed and serious questions asked of us. We need to be ready with the answers. And even though I’m writing this at the start of 2015, we need to remember it for the rest of the year. It’s never too soon to make a change. Never too late to shift our thoughts in line with Gods. Never too late to put down the old issues and forgive the ones who hurt us. So Happy New Year, and again for tomorrow. And the next day.